If you are thinking about serving something a little bit different than the traditional wedding cake at your celebration, than you have many options. 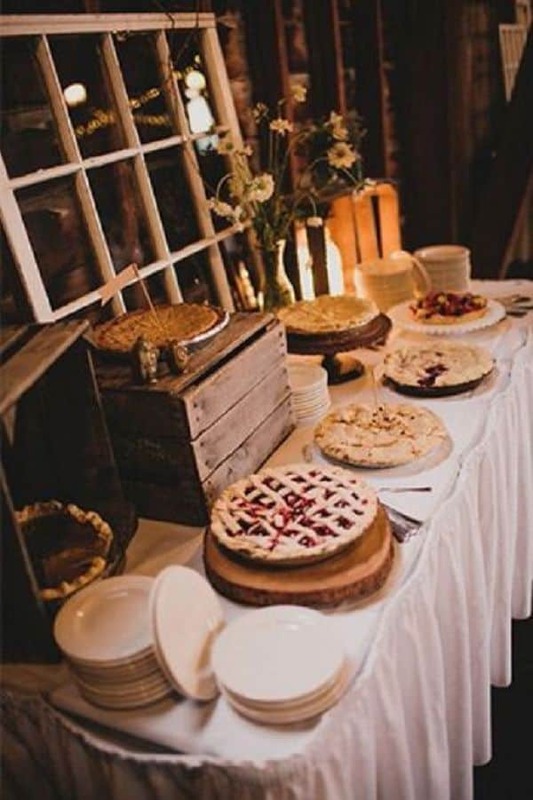 For a rustic chic wedding think about desserts that add to the country experience and say something about you and your fiance. 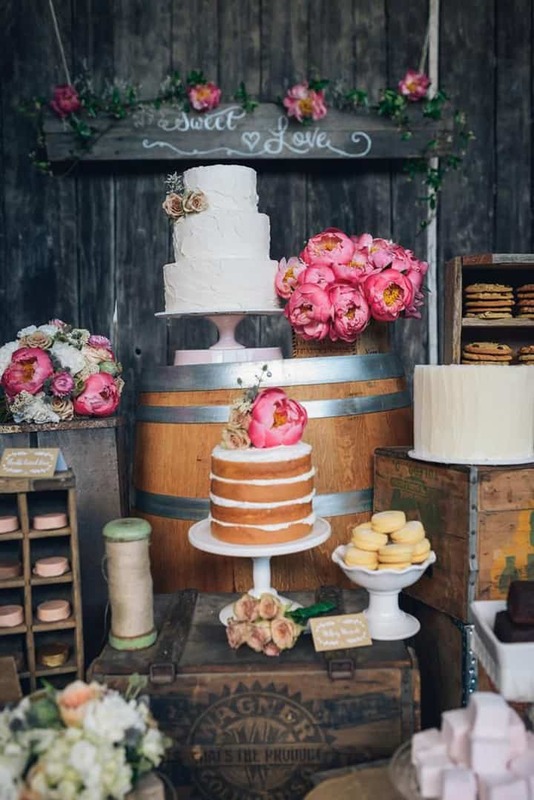 As you will see as you start to look through these pictures, rustic wedding desserts can be very simple. The charm comes from the set-up. Here are some ideas to give a little inspiration! Think about gathering with your friends around a warm fire pit under a starry night sky… Sounds lovely, doesn’t it? 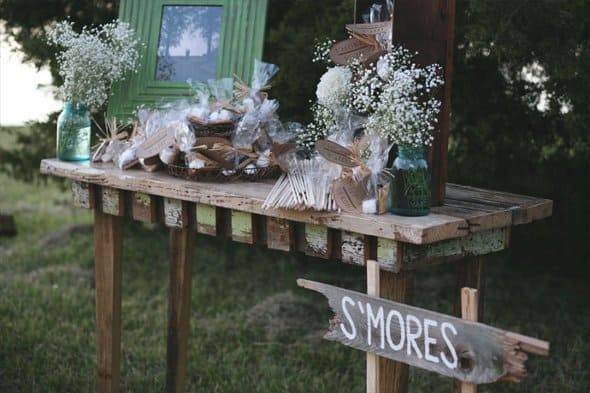 S’mores bars offer a great way to incorporate a fire-side experience into your wedding party. And they are delicious too! 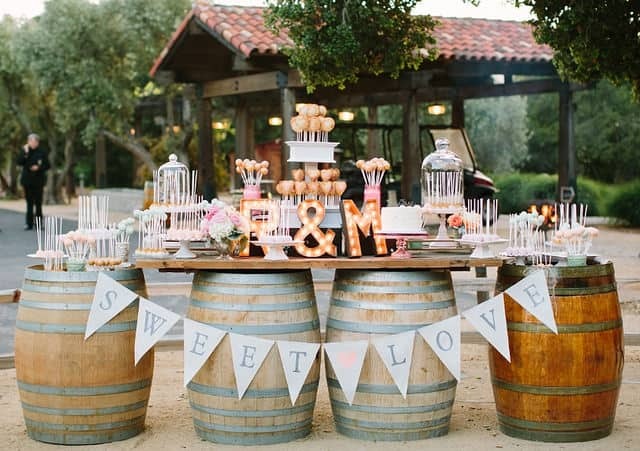 Signs can direct guests to a fire-pit , or could say something like “sunsets and s’mores”, or “s’more lovin'”, or “love is sweet”. The key is to keep it simple! Dessert bars that serve a variety of items give off a warm vibe that makes your guests feel like they are in an intimate, friendly setting. This alternative to the traditional wedding cake allows you to have one small wedding cake if you wish to, while also offering other options that will tie in a provincial, pot-luck theme. Pie is the perfect rustic chic dessert. It is a seasonal dessert, so the berries, peaches, or apples that you chose can be juicy and fresh, and connect guests to the setting. A variety of pies is such a fun treat for your guests who get to pick their favorites (or have a sliver of each!) This dessert alternative can add depth to the charming country setting that you have created. Because a natural outdoor setting has a sense of innocence about it, cake pops can be the “icing on the cake” that really drive home a happy go-lucky atmosphere. If you want to really dig into that child-like purity, serve cake pops. Hand-held and on sticks like lolly-pops, these chic little treats are haste free. 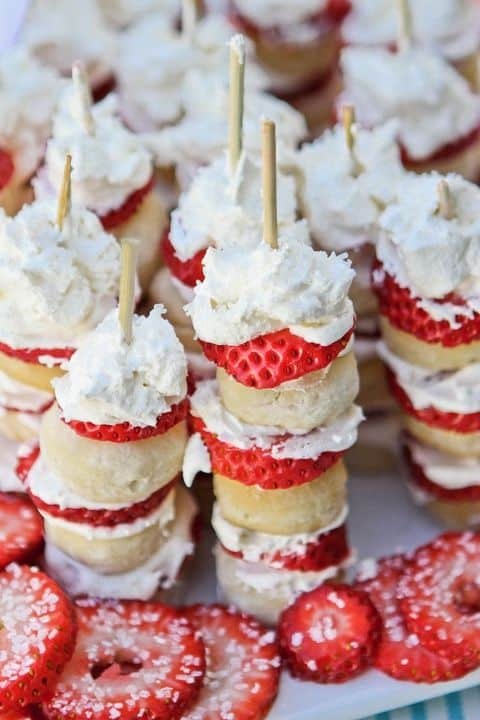 Will strawberries be in season on your wedding day? Consider serving these summery sweet berries as your dessert fare. Local, fresh berries are such a treat! You could add berry-picking to your before-the-wedding schedule. Get out into a field and spend some time with family and friends gathering up these goodies. 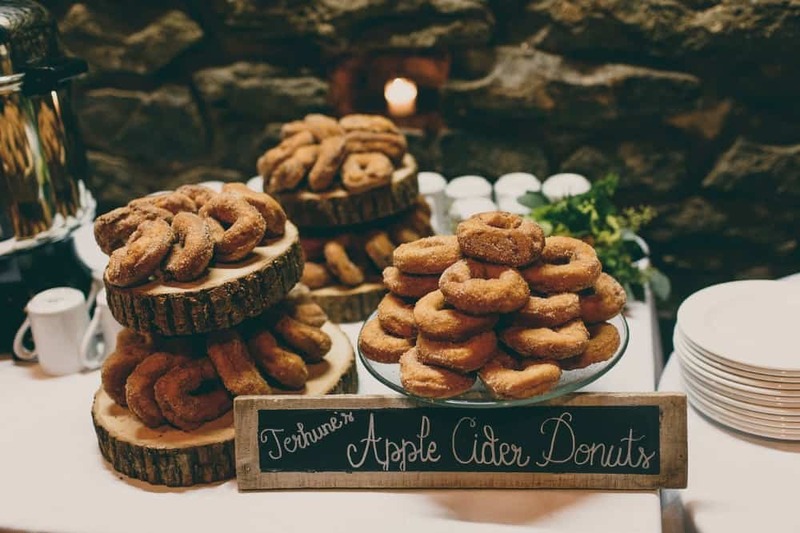 Another excellent way to use local farm-to-table foods in your wedding dessert table is to serve fresh hot apple cider. Cider is a country favorite, and is perfect for a fall wedding. It goes great with donuts! 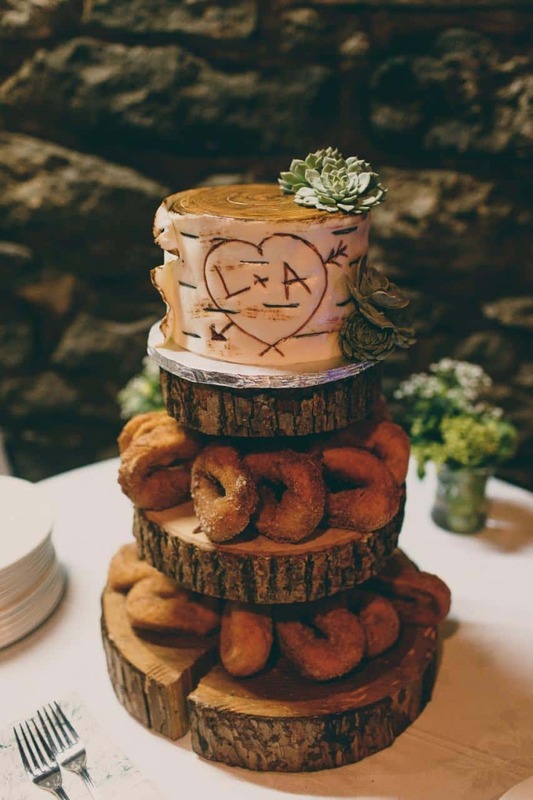 I love how special this display came out, with the logs shaped as tiers of a cake. A special tiered display is set apart by a cute cake topper: the Bride and Groom’s initials carved into a tree. The guests’ donuts are also set up in a creative way, but lack the topper. Clever! As you can see, there are lots of ways to go when you want to break the mold and serve something besides one large, traditional wedding cake. Some options offer a hint of that tradition with a mini-version that is reminiscent of traditional cake, while some alternatives break away entirely. Rustic chic weddings give you the perfect opportunity to highlight local farm-fresh foods, and add depth to the warm country vibes you’ve already stirred up in your guests. 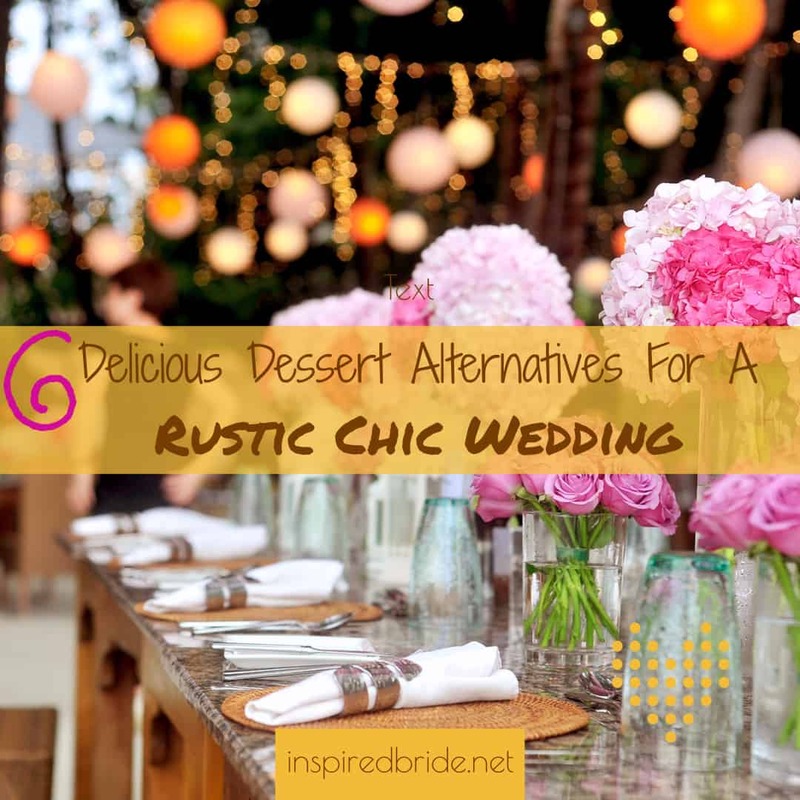 Have you been to any rustic weddings with amazing dessert alternatives? Let me know in the comments below!